As we all know, ya girl loves her coffee. I usually drink two cups a day and if not, I crave it! Although I love coffee, I don’t like the effect it has on my teeth! I have noticed a huge difference in how bright and white they used to be in comparison to when I started drinking coffee on a regular basis. 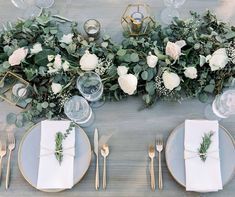 I have used other whitening products many times, as well as whitening toothpaste and I have never noticed a difference using those products, only teeth sensitivity, and gum irritation. 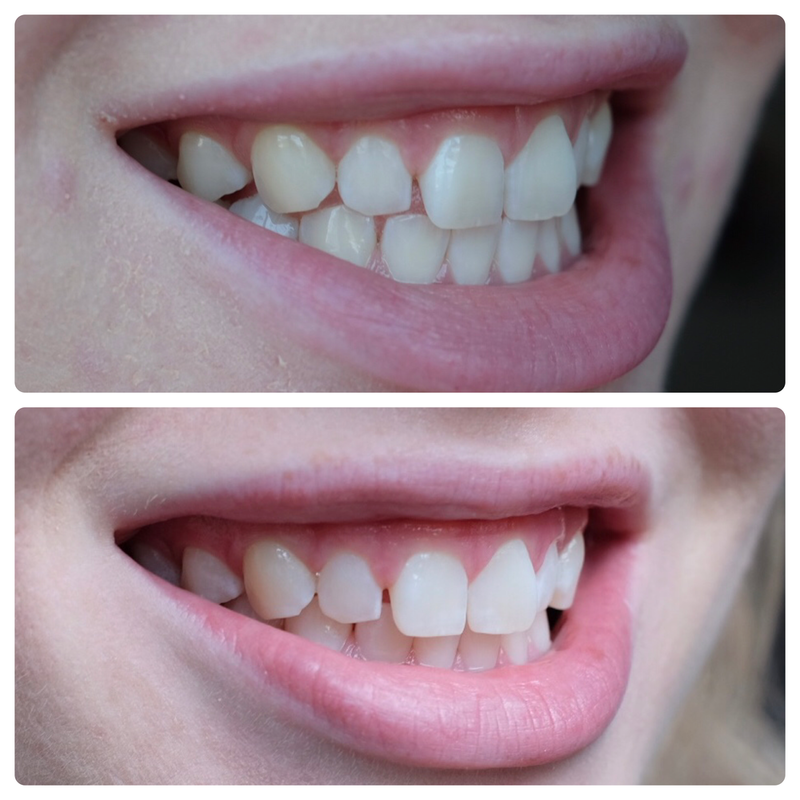 I have been insecure about my teeth for a long time and I was in desperate need of help until Smile Brilliant reached out to me to try their product and I shocked! I want to stay true and authentic to myself and to all of you during product reviews so know that I am being honest when I say that this is the most effective whitening treatment that I have found so far! Not only that, but the team at Smile Brilliant is so helpful and are willing to give advice and help with anything you may have questions or concerns about! 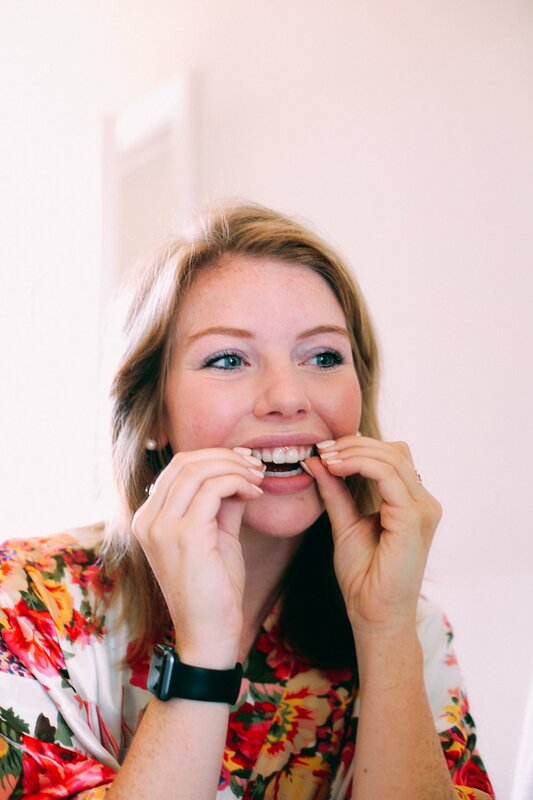 I was afraid of my teeth and gums getting very sensitive after treatments, but the team reassured me that that is rare and gave me ways to avoid it! After answering some questions about my teeth history and whitening background, I had a white package on my doorstep that contained instructions on how to make your molds. 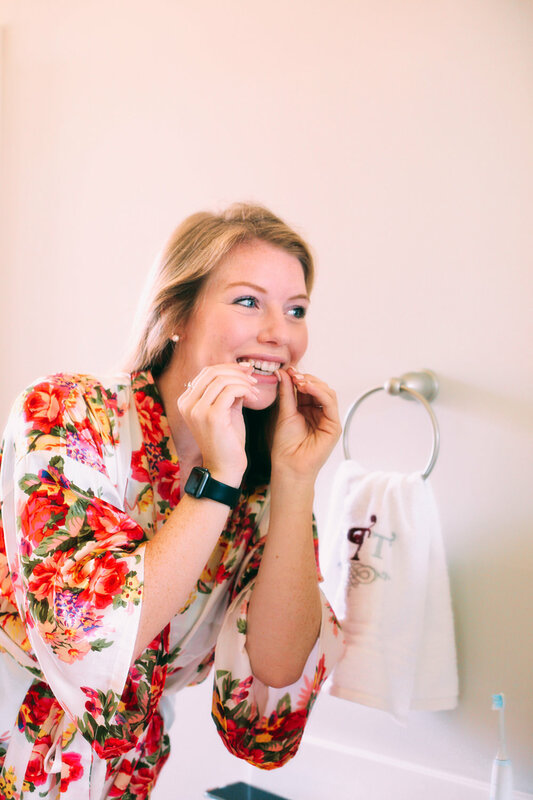 My favorite part of the process was making the molds of my teeth and sending them back to the lab to create personalized whitening trays! 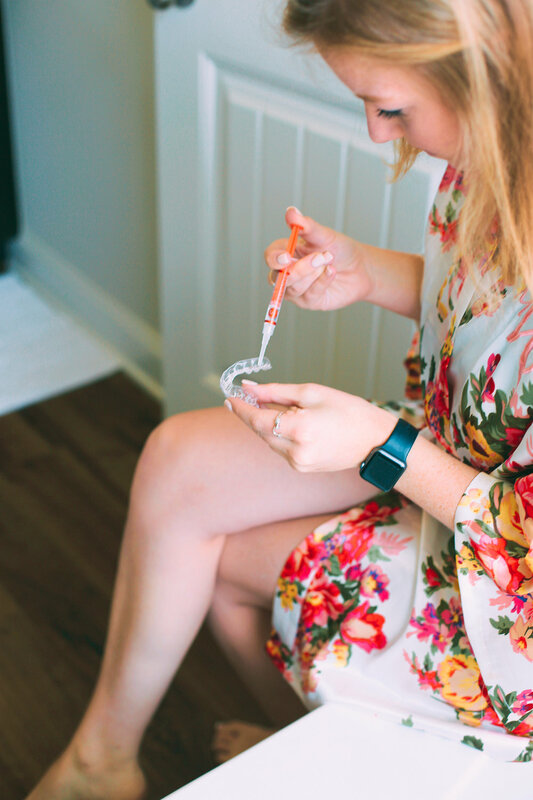 This makes sure the whitening process doesn’t miss a spot and allows it to stay in place (unlike the whitening strips that slide around everywhere-gross). The molds came back 3-5 days after I sent them in and it was whitening time! The package comes with very detailed instructions which I am very thankful for. 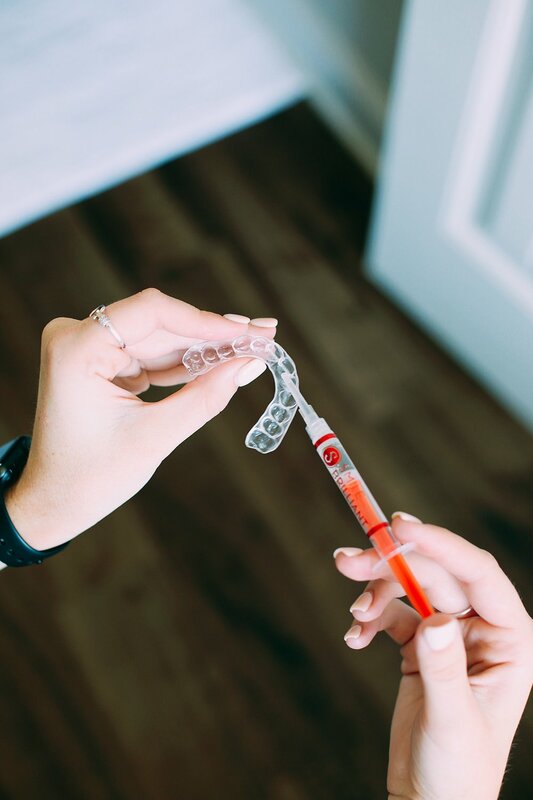 There is also desensitizing gel (pictured below) that you can use for twenty minutes after your whitening treatment if you know your teeth are sensitive! This helped ensure my teeth didn’t ache and helped keep them from hurting every time I drank or ate something cold (also happened after whitening strips). This product worked very well for me and I would highly recommend it for those who have tried many whitening kits and have yet to find one that truly works, is affordable, or even for those who have sensitive teeth! Teeth whitening is now something that I can do easily while I get ready for my work day or as I get ready for bed! 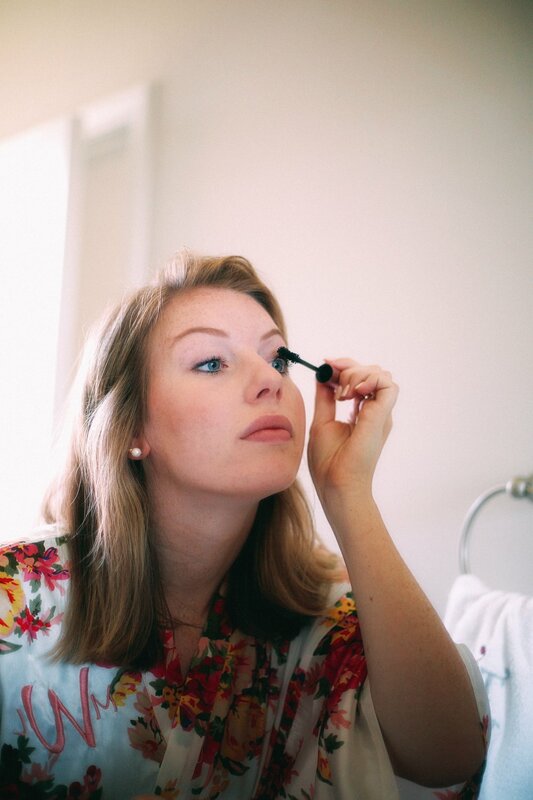 Thanks to Smile Brilliant, I can finally be comfortable in front of the camera again! I would be glad to answer any questions on this product if you have any! 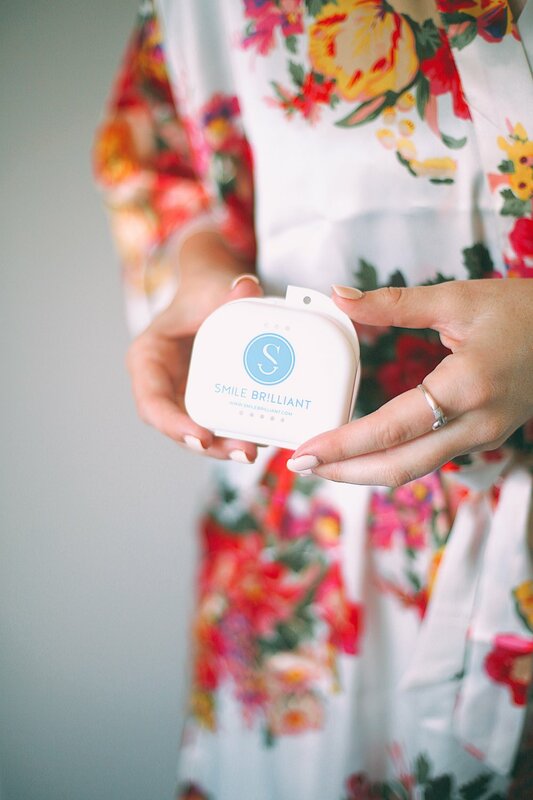 I will be partnering with Smile Brilliant to giveaway a whitening kit of $139 value! Make sure you enter using the link below, all who enter receive a 10% code off of anything on the site! I also have a 15% off code that you guys can use for any kit set! The giveaway ends July 1st at midnight! Good luck!